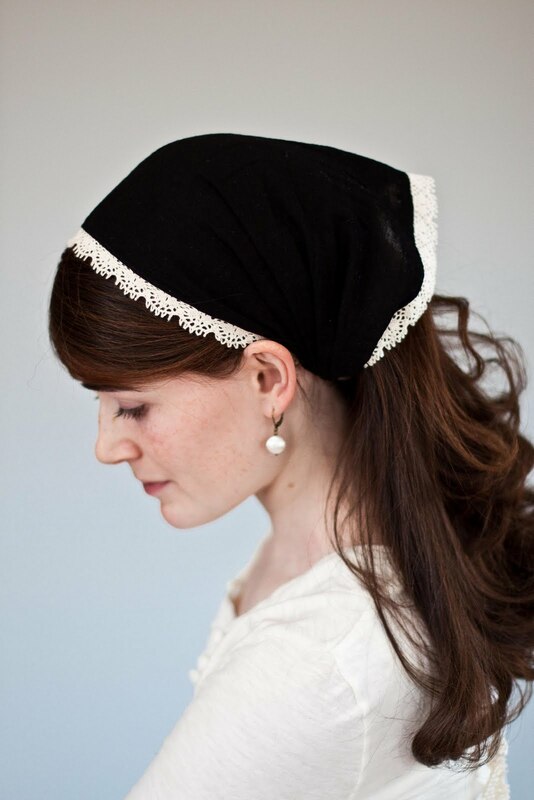 Now that Lent has come and gone, and I've resolved to continue to cover my head at Mass, I treated myself to a perusal over at Garlands of Grace. I now have 3 headcoverings, and I do love them. 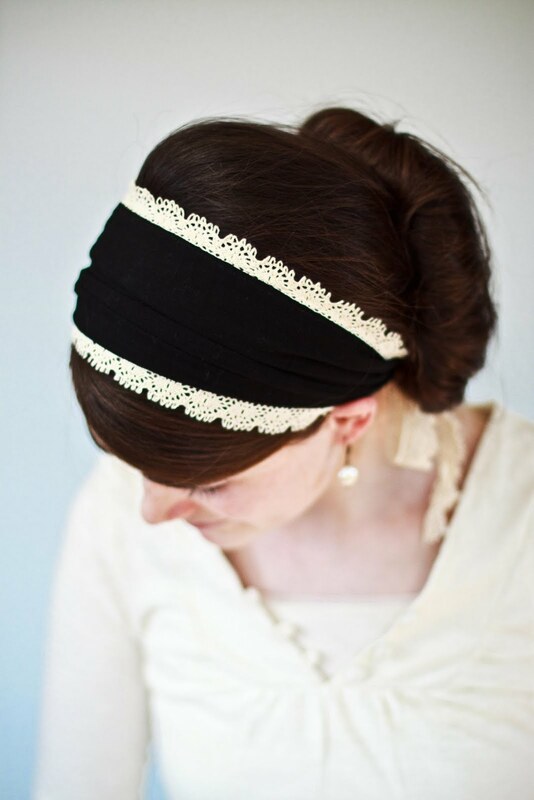 Only 2 of them are actually functional for me though, the chocolate brown lace scarf and the black/white velvet headband. The stretch khaki one that I purchased unfortunately isn't working out. It just slips like crazy. The ties on the other 2 seem to make the difference. And I use them regularly, but I was thinking it would be nice to add a few new members to my headcovering collection, so that I have more options on Sundays. 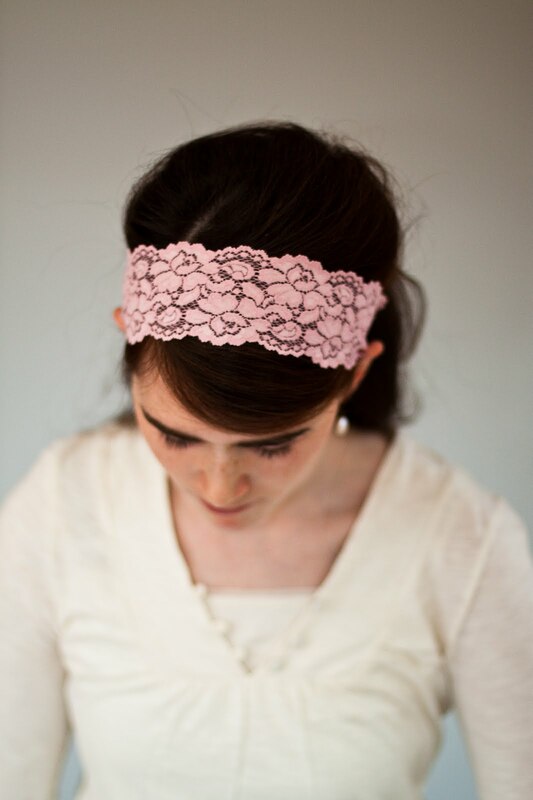 And sometimes, I wear them at home, because they're so pretty and keep my hair out of my face. Well. I immediately knew that I was in trouble when I discovered that they had posted the new spring collection. Dangerous, dangerous. I instantly fell in love with about a half dozen of them, and had to reign myself in. 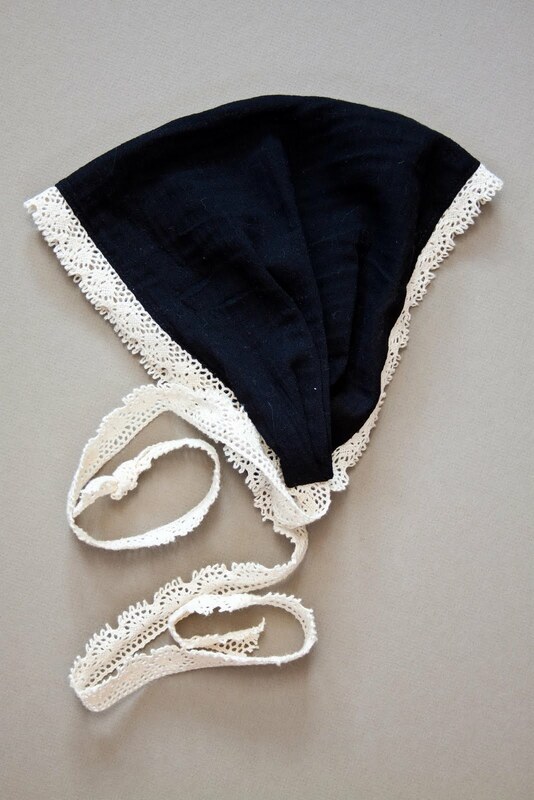 I've been wanting one of the lace headbands, and one of the Cecily style scarfs with ties, so I gave myself permission to buy 2. This resulted in much excitement for my entire workday as I contemplated which to choose. and I love the style, but it simply does not stay on my head. The stretchy clasp just isn't working for me in that style. It'll stay for a short time folded up as a headband, but even that goes astray after a while. So, I think the ties will keep everything secure and make me very happy. I'm super excited. So many of the other coverings were so beautiful as well! I'm sure that there is no doubt that before the end of the year, my headcovering collection will grow once again. I was looking at Catholic Home and Garden and they have lots of tie back veils.